There’s no school system more dedicated to being the best, from academics to athletics to the arts. And all is accomplished with a versatile mix of students from very diverse backgrounds, taught by committed professionals who believe in success for all. Your Opinion Counts! Periodically we are required by the state to access the performance of our school principals. Your help is needed to score the information, interaction, leadership and communication of your school principal. Let us know where we can improve. Evaluation of the Principal. 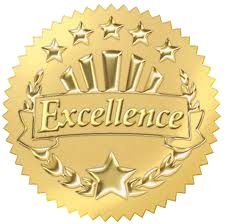 This morning, Secretary of Education Martin Shuman announced that John Adams High School has become a Seal of Excellence School. This prestigious award recognizes the dedication that the faculty of John Adams High School has to providing an excellent education to each student; leading them to become competent, productive citizens of our community. Secretary Shuman will visit in the Spring.